We are a safe-practice industrial cleaning company and we strike to ensure the security on each job site and in our workshop.  Blast It Clean adapts a variety of safety training and awareness method to keep our team members up-to-date. For a full copy of our safety manual or for inquiries regarding our safety protocol, contact Jessica King at jking@blastitclean.com. A designated competent person, will ensure that all new hires are aware of the accessibility of our safety program and, through interactive discussion or practical demonstration, be assured that the new hire understands the safety policies and procedures that pertain to the actual work the new hire will perform. I have read and understand the contents of this Employee Handbook. I will, to the best of my ability, work in a safe manner and follow established work rules and procedures. I will ask for clarification of safety procedures of which I am not sure prior to performing a task. I will report to the job site supervisor or competent person any unsafe acts or procedures and will ensure they are addressed and resolved before continuing work. and is available for my review. It will be explained to all new hires that safety training and safety performance is an on-going process. Depending on circumstances, training will take the form of some or all of the following: safety meetings, on-the-job instruction, formal and informal training. Lastly, all new hires will be informed of the importance of our inspection and enforcement policies and procedures. The employee shall inform his supervisor prior to using any prescription drug or over the counter medication and receive written permission to possess such drug while working on the job. The prescription vial shall be labeled by the dispensing pharmacy and the label shall show the employees name, physician, prescription number, date the prescription was filled and the dosage rate. Prescriptions more than 30 days old will not be allowed. The over the counter medication will be in its original package or container. The employee may only possess enough medication for his normal shift. Firearms, weapons, explosives, and ammunition. Unauthorized items such as stolen property or drug paraphernalia. As a means of enforcement, to the extent allowed by law, all employees will be subject to searches and inspections of their person, vehicle and personal effects for the presence the above prohibited items. The type of work we perform can result in serious injury if employees are not capable of focusing on their job task, as well as their surroundings and others with whom they work. It’s the policy of Blast-It-Clean to hire only persons free from any evidence of illegal use of controlled substances or other drugs including alcohol. The involvement in the illegal manufacture, distribution, dispensing, possession or use of a controlled substance or other drug on company property or while performing company business will result in termination of employment. While Drug-Free Workplace Act of 1988 does not apply to all employers, it does apply to employers who have received a Federal contract worth $100,000.00 or more. Essentially, every state has some sort of incentive to have a drug free workplace, i.e., reduced worker compensation rates. We will comply with our state drug testing laws. All supervisors will receive a minimum of 2 hours training in substance abuse detection. Drug testing will be performed by certified laboratories and all results will be confidential. Any analysis of specimens utilized to evaluate whether evidence of illegal controlled substance or other drug use exists will be confidential and remain confidential. All initial drug tests will be paid for by our company. Failure to pass an initial drug test will not be considered conclusive evidence of drug miss-use. A second test will be administered to ensure that a false reading has not occurred. Further, all positive tests will be reviewed by a Medical Review Officer and the employee may consult with this officer before the results are provided to us. 29 CFR 1926.302 - Power-operated hand tools When performing abrasive blasting operations, from a safety standpoint, there are numerous hazards that must be addressed. b. Appropriate respirator to be selected to negate these hazards. The many types of abrasive materials have varying degrees of hazard – silica sand being probably the most hazardous mineral abrasive used. Whenever possible, its use should be limited and, if possible, a substitute material used. Other types of abrasives include: synthetic or natural mineral grains; metallic shot or hard grit (made of steel or chilled cast iron); and organic abrasives such as ground corncobs and walnut shells. These and other engineering controls such as containment and ventilation are important for employee safety. The hazards of steel or cast iron dust are relatively minimal, however, combustible organic abrasives may be pulverized fine enough to be capable of forming explosive mixtures with air. The coatings that are being blasted may, for example, contain lead (in paints); arsenic (in furnaces); cadmium (plating); and even silica sand (embedded in the surface of castings). All these types of hazards require specific respiratory protection and are serious health hazards. Surprisingly, construction standards do not address abrasive blasting as an “all-encompassing” topic – each hazard must be dealt with on its own. Contact us for more information on abrasive blasting hazard control. All employees and all subcontractors will read the above OSHA Booklet 3071, Job Hazard Analysis and use the information contained therein to complete our Job Task Safety Analysis Forms. Using the above referenced booklet and other training materials, employees and subcontractors will be trained in the hazard identification process. A Certificate of Workplace Hazard Assessment will be prepared, signed and dated, by Jessica King, our safety program administrator, indicating that a hazard assessment of our job sites and methods of operations has been accomplished. This hazard assessment will focus on the need for PPE which cannot be eliminated through engineering or administrative controls. Because they have insight to the hazards involved, employees and subcontractors who actually perform job tasks will be included in job hazard analysis. A review will be made of previous accidents and injuries as well as “near-misses” to determine if existing hazard controls are adequate or need improvement. If all employees and subcontractors followed established OSHA compliant procedures to accomplish their job tasks, the probability of an accident would be minimal and, should an accident/incident occur, the probability of severity would be minimal. In spite of the above, a formal hazard identification and risk assessment process is in place to identify potential hazards. We will use area specific analysis/inspections utilizing JSA’s and JHA’s which are valid only if all employees as well as our subcontractors are actively involved in the process. All employees and subcontractors must be actively involved in our formal hazardous identification process. All hazards identified will be reviewed by all employees concerned. The hazard identification process will be used for routine and non-routine activities as well as new processes, changes in operation, products, or services as applicable. Hazards will be classified and ranked based on severity of possible injury and probability that an accident will occur. Contact us for more information on abrasive blasting hazard control. As part of process safety management of highly hazardous chemicals, our employees will be given training on negating the hazards relating to possible chemical exposures in the areas in which we are working. This training on the facility operator’s emergency/contingency plan would include identification of the various hazardous chemicals, their location, specific actions to take should there be an inadvertent spill, leak, or release of hazardous chemical gases. Also during this pre-work training, all facility safety rules would be explained. Pure lead (Pb) is a heavy metal at room temperature and pressure, and is a basic chemical element. It can combine with various other substances to form numerous lead compounds. OSHA standard 29 CFR 1926.62, addresses occupational exposure to lead in the construction industry. The word “lead” within this standard refers to elemental lead, all inorganic lead compounds, and a class of organic lead compounds called lead soaps. This standard does not apply to other organic lead compounds. Contact us for more information on hazardous job site chemical awareness & exposure trainings. This Personal Protective Equipment (PPE) Program has been prepared to inform our employees of potential hazards on the job site and to identify the proper PPE to be used to reduce or eliminate these hazards. This Program relies on a cooperative effort by all personnel to understand the reasons for PPE and to protect themselves from harm. The use of PPE does not lessen an employee’s obligation to use safe work practices and procedures. Employees are expected to be aware of the hazards within their area of responsibility and properly use prescribed PPE. Our operations, work methods, and individual job sites present specific hazards which must be identified, analyzed, and matched with the appropriate PPE through a continuing hazard assessment process. A Certificate of Hazard Assessment will be kept on the job site for inspection purposes. For more information regarding our PPE protocol, please contact Jessica King (jking@blastitclean.com) for more details.